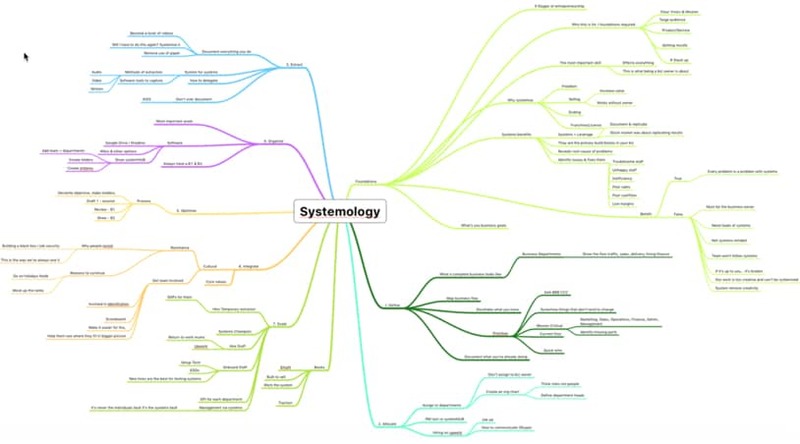 What is the SYSTEMology™ Program? 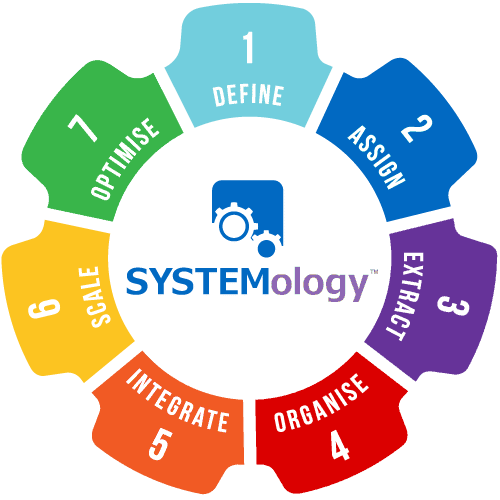 This is a complete 10 week training program, where you and your team will be walked through the system for business systemisation. It includes all the training, software, tools, documents and more. This is information your team will refer to for years to come! All wealth is based upon systems. Get proven systems you can swipe and deploy. This program is designed for your whole team, not just you! Get training, software and support. Deep down you already know you need this. Business owners who have been in business for more than a few years. You know your target customers, you’re clear on the problems you solve and the products and services you sell. You’ve got a small team helping you out and you work 70+ hrs a week. You’re clearly the centre cog in this machine you have created. You’ve reach capacity and it just feels like you’re on a treadmill. Now, you might not exactly match that profile but I’m sure you know what it feels like at each step of the way. This link will expire within 24 hours from the webinar running. Ready to join the program? Click here. 1: Define. We’ll lay the correct foundations and map your core business process. This will be the first time you have seen your business as a collection of systems and give you a bird’s eye view. 2: Allocate. We’ll identify your business’s core departments, the roles within those departments and begin delegation. I’ll show you inside our business so you can see the real world application – no theory here! 3: Extract. We’ll dive into the process of capturing your systems. We’ll give you the structure, tools and software. This session will be perfect to share with your team. 4: Organise. We’ll organise your business as though you were looking to sell it (even if you never do). We’ll eliminate waste, increase efficiency and maximise profits. 5: Integrate. We’ll share our system for integration. 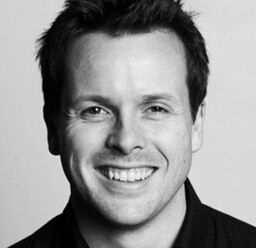 How to get staff “buy in”, structure win/win deals and evolve your company’s culture. This is arguably one of the most important aspects of the entire program. 6: Scale. We close out the program giving you systems and processes to find, hire, train and keep amazing staff. We look at how to manage your team, assign responsibly and how to build a thriving culture. 5: Optimise. We’ll install a process of improvement – automatically identifying weak points and areas of inefficiency and a structured process of improvement.